Belair are pleased to manufacture the new Genesis endorsed by the Large Model Association, as an introduction to large scale practices. Designed as a large scale sport model, the design takes full advantage of Belair's in-house CAD/CAM processes. 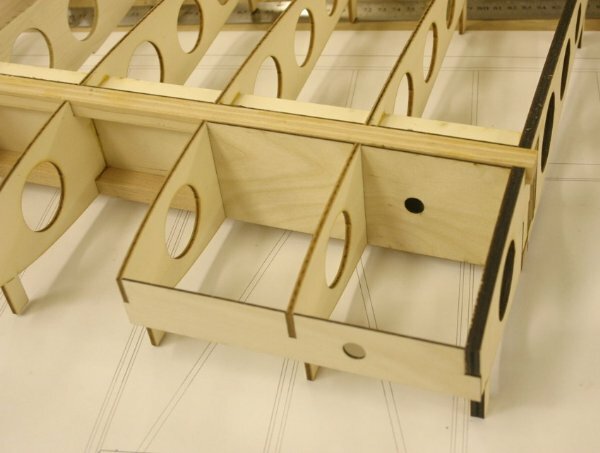 The airframe of the Genesis is easy and quick to build accurately, whilst at the same time is strong and good looking. The wing features a heavy duty D-box spar, which is again cut designed for quick and accurate construction. The Genesis is powered by your choice of 38-62cc petrol engines. The bulkhead is laser cut for either Zenoah 38/45/62 or Evolution/MVVS 35. Servos are affordable 6kg standard size. Weight ready to fly is typically around 8-9kg. The span is 96 inches and a two piece wing makes transportation easy. 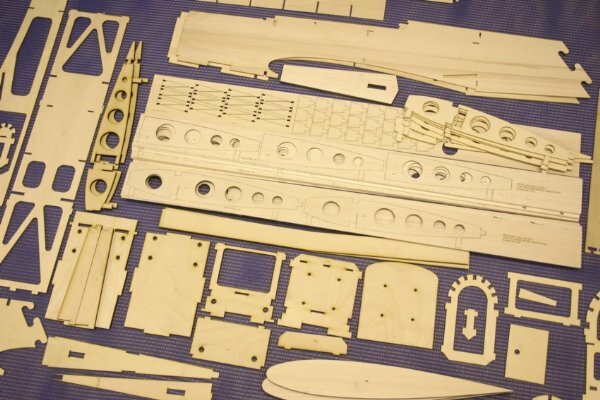 The Belair kit includes all the laser cut parts required to build the airframe, just requiring the builder to add their own selected stripwood and covering, A laser cut 5mm landing gear, which is folded and drilled ready to mount, plus a massive 12' plotted plan is also in the box. A vac formed canopy is included. The plan is annotated with helpful building tips and suggestions, although it is expected that the modeller will have previous building experience and will decide their own build sequence. The Genesis will teach the builder basic large model construction techniques as well as radio setup procedures required on larger models. 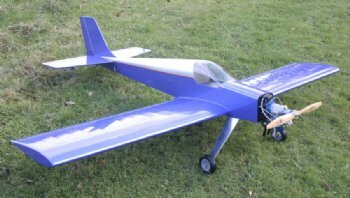 Once built it's attractive look will make it a great sports model for relaxed weekend or show flying. What is in the Genesis Kit? The Genesis kit is comprehensive and includes all the cut parts required to complete, even down to servo trays, servo hatches. All parts are drilled were required and require no further finishing. Landing gear mounts, firewalls are all laser cut to include holes for easy mounting of the landing gear and motor. The photos show some of the parts in the kit - NB Not all parts are in photo due to the size of the parts set!